Sold by ExcellentStoreSL and ships from Amazon Fulfillment. 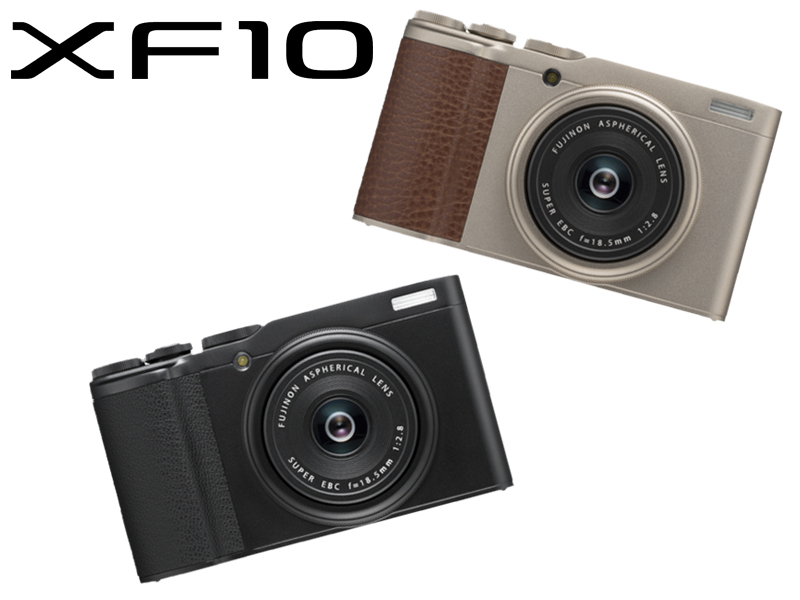 Despite its compact size, the FUJIFILM XF10 has an APS-C sized image sensor. This is 14 times larger than the sensor inside conventional smartphones. 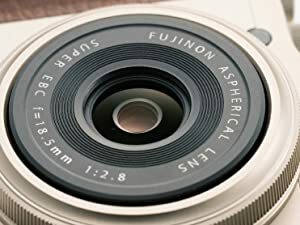 The renowned FUJINON lens on the FUJIFILM XF10 is optimized for the 24.2 megapixel APS-C sized sensor and produces outstanding detail and sharpness. 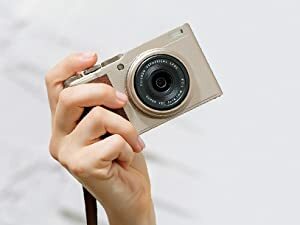 The FUJIFILM XF10 delivers natural skin tones, beautiful color reproduction and low noise in poor lighting conditions. Using the knowledge acquired through developing films for more than 80 years, the XF10 offers 11 different modes which replicate classic film styles. Be more free and creative by using the FUJIFILM XF10's Advanced Filters to add an artistic touch to your photos and express your creative self. Operate the camera just like a smartphone. Touch controls include pinch and zoom, drag to move around the image and swipe gestures. Combine the XF10 with a Bluetooth compatible smartphone or tablet for seamless transfer of your images so they can easily be shared with friends. 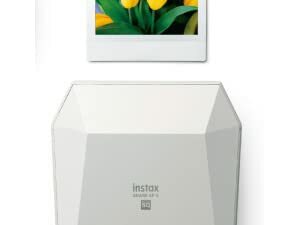 You can also remotely shoot pictures using the free FUJIFILM Camera Remote app, and print instax photos by connecting the camera to an instax printer. Capture ultra-high definition with the 4K movie capability. Plus, the XF10 can record high-speed slow motion videos in Full HD with ease. 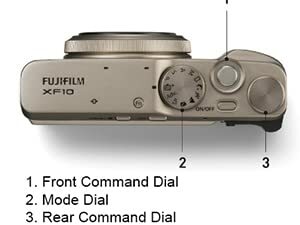 Use the mode dial to select the shooting mode and adjust the shutter speed and aperture using the front and rear command dials. 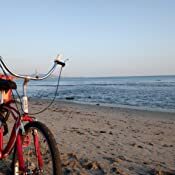 Advanced SR Auto mode - The camera will recognize the scene and subject you are looking at and automatically optimize the focus and camera settings. 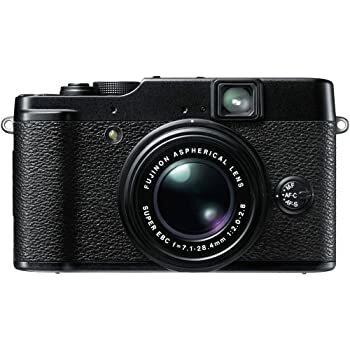 The new FUJIFILM XF10 is a premium compact digital camera with a high quality FUJINON 18.5mmF2.8 fixed lens. 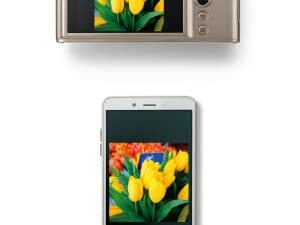 Weighing only 280g, the XF10 combines simple touchscreen operation with superior image quality and versatile settings in a pocket-sized body, making it the perfect companion for photo enthusiasts and smartphone users alike. The XF10 has wide dynamic range and produces sharp, high resolution images. Combined with Fujifilm’s proprietary color reproduction technology, its 24.2 megapixel APS-C sized sensor allows the XF10 to produce high quality images in a wide range of settings. In addition, both 4K movie and Full HD high speed video are available on the XF10. I have owned the X70, X100t and X100f as well as the X-T20. I sold my X100 camera after I had used the X70 for a while because I found I never took the X100 out and always took the X70. 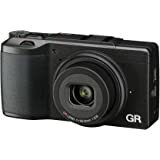 It was a great camera but it died and since it is out of production, and used ones were quite costly, I had been waiting to pull the trigger or not on a used one. Then came along this XF10. I didn't see it as a direct replacement to the X70, rather as a similar camera with many of the features I really liked about the X70. The best aspect of the X70 was the lens. In my experiences, it always out shined the lens on the X100t/X100f that I owned. Sharper, better color, just always impressed me. When I saw that the XF10 had the same 18.5mm f2.8 lens, same very short focusing distance, the same small pocket-able size , a built in flash, two programmable function dials on top, and a touch screen that works well, I decided to take the plunge. I have had it now for several weeks and taken quite a lot of pics, and it has been a joy to use and carry. The size is great for pocket carrying anytime anywhere. It was that lens on my X70 that I was most impressed with and had concerns that they may have monkeyed with the 18.5mm when putting it on the XF10. Gladly, the images are stellar and tack sharp, with great color, and surprising smooth bokeh when focused at close distance. It has all the same image qualities that were on my X70. That alone made the XF10 a worthwhile purchase. I understand some of the wishes that some have expressed about the XF10. 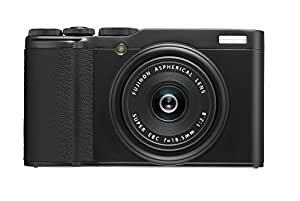 But if you take it for what it is, and not as a replacement for anything else, it comes out as one heck of a great very small APS-C camera with a terrific lens, loads of features, and a common feel to the menu for existing Fuji users. For specs, maybe there are some that don't meet everyone's needs. 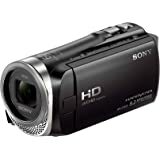 I am not a video guy, so there are no aspects to its video capability or short comings that I can offer an opinion on. 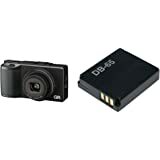 For the joy of carrying around a small, 24mp APS-C sensor camera, with a really great lens, in a pocket size package, it is a winner. I would have preferred a tilting screen, but as much as I though that was important, I have not found myself frustrated without it over the last few weeks. 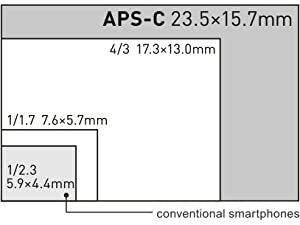 If you absolutely positively must have a viewfinder on an APSC camera this small, I suggest finding someone else that makes one and buy it. In the end, the XF10 satisfies what I most enjoyed about the X70: image quality, pocket size, standard Fuji menu and features. I most often take landscape photographs while hiking or backpacking. 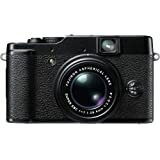 I bought the Fujifilm XF10 as a bridge between my compact Canon G9 X camera and my Canon EOS M6 camera and lenses. 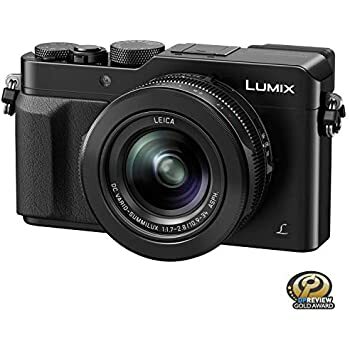 I use it when I want to travel lightly and don't need the focal length flexibility, but still want to capture photos with a sharp lens and APS-C high-resolution sensor. It also serves as my main camera for time lapses because of its intervalometer and time-lapse movie capabilities. This is my first Fujifilm camera. 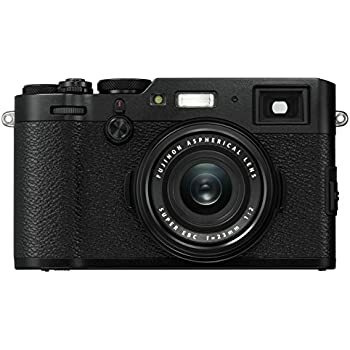 I preferred it over the Fujifilm X100F and the Canon G1 X Mark III APS-C sensor compacts because of cost (lower) and size (smaller). 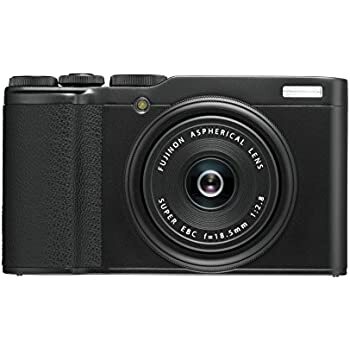 The Fujifilm XF10 is small enough to fit in the same camera case I use with my Canon G9 X and costs over $600 less than both the X100F and the G1 X Mark III (as of Oct 2018). 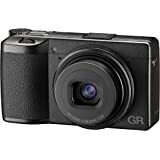 I preferred it over the Ricoh GR II because it has 50% higher pixel resolution (the announcement of the Ricoh GR III has me intrigued, however). Below I've included my thoughts on various topics and features. 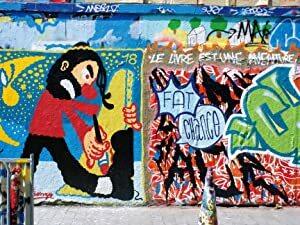 They contain mostly petty gripes and criticisms. 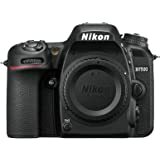 I figured those would be more useful in helping others manage expectations and decide whether to buy this camera. But, to be clear, overall this is a fantastic camera that I highly recommend. · LENS: I'm an unabashed pixel peeper when I first buy new camera equipment. In tests I performed, the lens looked sharper than my Canon M-system lenses at the center of the images. At the edges, the lens on the XF10 was comparable in sharpness to Canon's excellent EF-M 11-22mm lens at the 28mm (35mm equivalent) focal length. The XF10's lens is also superior to my Canon G9 X's lens, which is noted for its softness. · ERGONOMICS: The XF10 is truly a one-handed camera. It's light and feels well-balanced. The top dials are easily accessible (with just your index finger) and control exactly what you need them to control, depending on the chosen mode. 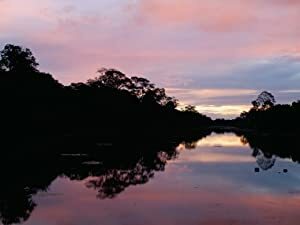 (I typically use aperture priority mode, which puts the aperture setting on the dial surrounding the shutter and exposure compensation on the rear dial.) I set the control ring on the front to change the ISO, but it is customizable, and it (rightly) overrides your custom setting when the control ring is required for manual focus. · LENS CAP: I like the lens cap. It covers the whole lens unit, not only the front glass element. It is light and wafer thin, so it maintains its pocketability when it is installed on the lens. It stays on and it's easy to affix to the lens. 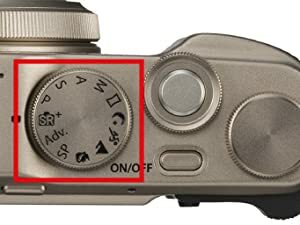 Automatic lens caps, like the ones on most compact cameras, are convenient, but they only cover the front glass element and they are one more mechanical thing that could go wrong. I also like that the XF10's lens cap has a tether, so you can just let it safely drop off the lens and forget about it until you're done shooting. · TOUCHSCREEN: The touchscreen is rudimentary. You can't use it to interact with the menus much. In the Q menu, I've accidentally tried to touch the screen to change a setting only to be reminded that the touchscreen doesn't even allow you to select the setting you want to adjust using the dials. Instead, you have to click around the screen with the joystick. It's a real annoyance. One of the major benefits of a touchscreen is quickly changing settings without repeatedly pushing buttons. Canon's touchscreens are great in this regard. Also, the custom swipe gestures rarely work on the first try for me, for some reason. Half the time nothing happens. A third of the time, it activates the touch focus instead. And a third of the time it activates the setting assigned to the swipe gesture. Perhaps I just need time to figure out exactly what type of swipe gesture it expects. · JOYSTICK: For navigating menus, the joystick is better than a directional pad, but not as convenient as touch navigation. The joystick feels delicate, so I typically opt to use the dials and the OK button instead. It is, however, a nice feature to use for focus because it can be operated more conveniently and accurately than touching the screen to set the focus point. 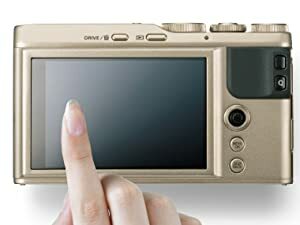 · USER INTERFACE: I prefer Canon's menus and user interfaces to the XF10's. I do, however, like the three tabs on the right side of the XF10's shooting screen that allow you to quickly toggle through touchscreen functionality, film simulations, and focus modes. For example, it's quick and easy to change between autofocus and manual focus just by touching the focus mode tab. The one downside of those tabs is that they are opaque, so they obscure the right side of the image you're trying to compose. The tabs also do not disappear when you toggle to the display option that removes all other superimposed shooting information. 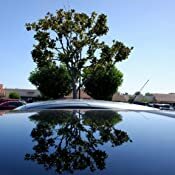 · AUTOFOCUS: Autofocus seems accurate, but it dramatically hunts for focus. It's loud and rough. 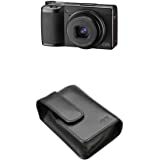 · LCD SCREEN: Tilt or articulating screens are useful and nice additions to most cameras. But not on the XF10. One of the main benefits of this camera is its size (small) and weight (light). Tilt screens add bulk. 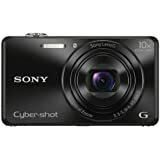 I like this camera because it's small and light. Same with viewfinders: they would add to the dimensions (and cost). I rely on the histogram for exposure (with a caveat, see below) and, in bright conditions, I increase the LCD screen's brightness to help with composing the shot. · HISTOGRAM: The histogram displayed on the LCD screen is too small. It's difficult to get an accurate indicator of the exposure with that tiny histogram. 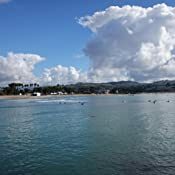 · VIDEO: The video seems fine, but, other than time-lapse video, I rarely use the video features. 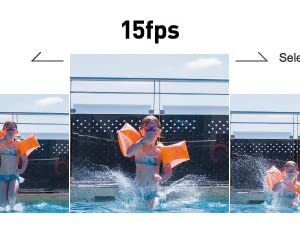 4K video at 15fps is mostly useless. You can, however, save time-lapse videos in 4K resolution at 30fps, which is a nice feature I never saw mentioned in reviews I read before I bought the camera. (I did find it in the manual beforehand, though.) I prefer 4K at 60fps for time-lapse videos, but I can always do that in post-production while letting the camera save 1080p time-lapse video at 60fps in the meantime. · INTERVAL TIMER: I wish the interval shooting feature allowed an unlimited number of shots, although 999 is usually sufficient. The interval/time-lapse implementation is superior to my Canon EOS M6's. 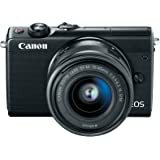 My EOS M6 is limited to producing a 1080p 30fps time-lapse video file without saving the still images. With the XF10, it saves the still images and it can separately save a 1080p at 60fps or 4K at 30fps video file from the interval session. Later, I can always go back to edit the stills in post-production and save a time-lapse video in a format and resolution of my choosing. · JPEGs: The in-camera JPEG processing is heavy-handed, in my opinion, especially the sharpening. The Provia, Vivia, and Astia film simulations all brighten the exposure and saturate the colors, to varying degrees. I usually save JPEGs with raw files during shooting but discard the camera-generated JPEGs after I've had a chance to process the raw images on my computer later. · CUSTOM MODE (lack thereof): The XF10 does not offer the ability to save settings in a custom mode. I like to have a custom mode so I can always start with the same settings regardless of changes I made the last time I shot photos. Canon's custom modes also allow you to save some features that normally reset, such as the timer. I prefer to use a 1 or 2 second timer delay to avoid shake from pushing the shutter button. Since I can't save settings on the XF10, if I want to use the timer, I have to go into the Q menu to turn it on every time I turn on the camera. · POWER: It takes a long time to charge the battery, but the ability to charge it via USB is key for backpacking. I often bring a small battery power source to charge my phone anyway, so now I can also charge the camera. My Canon EOS M6 doesn't have this functionality, which requires me to bring along a second battery. Carrying a second battery isn't really a problem, but the option to charge the camera away from a power outlet is convenient. · INTERNAL ND FILTER (lack thereof): An internal, configurable ND filter would've been a nice feature to include, especially given the leaf shutter's speed limitations. Bright, sunny scenes require you to stop the aperture down (which I usually do anyway, but still…). 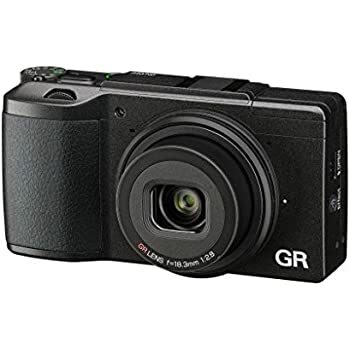 Internal ND filters are included in the Ricoh GR II, the Fujifilm X100F, and my Canon G9 X. · FILTER THREADS (lack thereof): The lack of filter threads is frustrating. I frequently use circular polarizers, but I won't be able to with this camera. The lens is fairly wide angle, so it's not a problem for sweeping vistas with lots of sky in them when I would avoid using a polarizer anyway (polarizers sometimes cause the sky to appear in different shades of blue at wide angles), but for other situations it would be nice to have the option to add a polarizer. · IMAGE REVIEW: The XF10 requires you to turn on the camera operations to review images. This is unnecessary, especially because the on/off button is not a switch. The image playback button can probably be programmed to turn on the image review without activating the camera functions. Many cameras I have owned (but not my EOS M6) allowed you to press-and-hold the image playback button to review images without turning on the camera. · CONNECTIONS COVER: The door that protects the USB/HDMI connections feels more substantial than those on Canon cameras. The Canon connection covers feel like they could rip off at any moment, and they never stay open. The XF10 has a hinged door that locks open. · PANORAMIC MODE: The panoramic mode is useful to preview panoramics I will shoot normally and stitch later in post-production. It also makes for easy sharing of panoramics, although I haven't been impressed with the results. The stitch areas can be rough and I'm not sure it's a better alternative to just using my smartphone's camera. Probably user error, though, because I've been shooting them handheld. UPDATE: I've tested this feature more (using a tripod) and I have to say that it has little value. 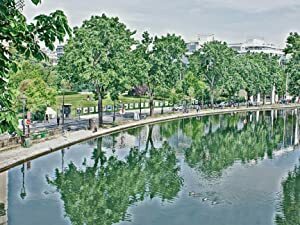 The resulting panoramic image quality is poor. I will stick to sharing panoramics from my smartphone and stitching normal images from this camera later in post-production. · ADVANCED FILTERS MODE: Nothing too surprising available in the advanced filters mode. I don't normally use them, except when bored or just playing around with the camera. They're easily accessible and fun. 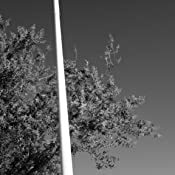 I especially like the filters that show only one color in a scene and make all other colors monochrome. That works great for photos of autumn colors, for example. · AUTO and SCENE POSITION MODES: I never use them. 1.0 out of 5 starsPoor sealing execution. I had no problems using the camera or with the image quality, but after using the camera for just a couple of days, dust managed to get inside the lens housing. 5.0 out of 5 starsExactly what I was waiting for. 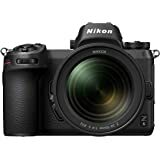 I am an amateur enthusiast, that used to have entry level Nikons, but DSLR are big and heavy co carry around. And I used my DSLR with prime lenses 95% of the time. 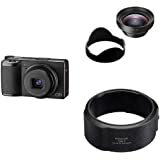 So I wanted a fixed lens, quality, small and APS-C sensor size camera. Thats perfect for me. Great pictures so far, the lens cap doest bother me at all, controls are intuitive and the price is just right. I am happy.